If you receive a letter from the IRS or any of the taxing authorities, call us immediately and we will help you. 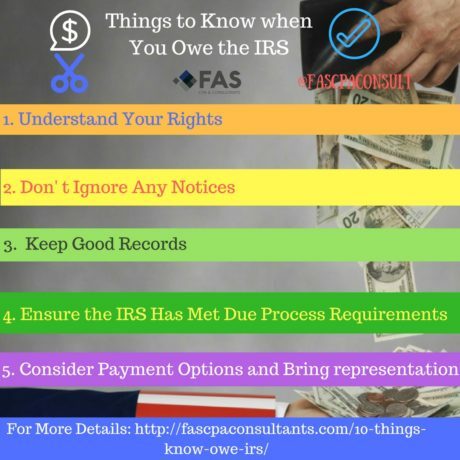 We at FAS CPA & Consultants, will take your case and represent you in front of the IRS, the State or a Local Agency. You can rest assured we will always act in your best interest. Communications and meetings with the IRS from the first notice to complete the audit. A review of your tax return for additional areas of concern. A review of your documentation before is presented to the IRS. Making all audit phone calls. You don’t even have to meet with the IRS. We take care of all the audit work and solve your case. If you have been contacted by the IRS, the State or a Local Taxing Authority, regarding a possible tax audit, do not panic. Simply contact us as soon as possible for assistance in representing and defending you from further action. Click the button below, take a deep breath and let us do the work.